The festive period brings happiness and joy to millions across the world, but our favourite Christmas traditions — be it trees, meals or decorations — can be serious fire hazards if not treated sensibly. Follow our tips to to keep yourself and family safe this holiday season. We want everyone to have a white Christmas — not an orange one. Christmas trees are a staple in almost every UK home around Christmas time. Sadly, hundreds of these trees become catalysts for serious house fires each years. Being wary of the following rules will greatly reduce the chances of house fires this Christmas. When choosing between real trees and artificial trees, be aware that real trees are more prone to catching fire than artificial trees. This is because real Christmas trees have the capacity to dry out. 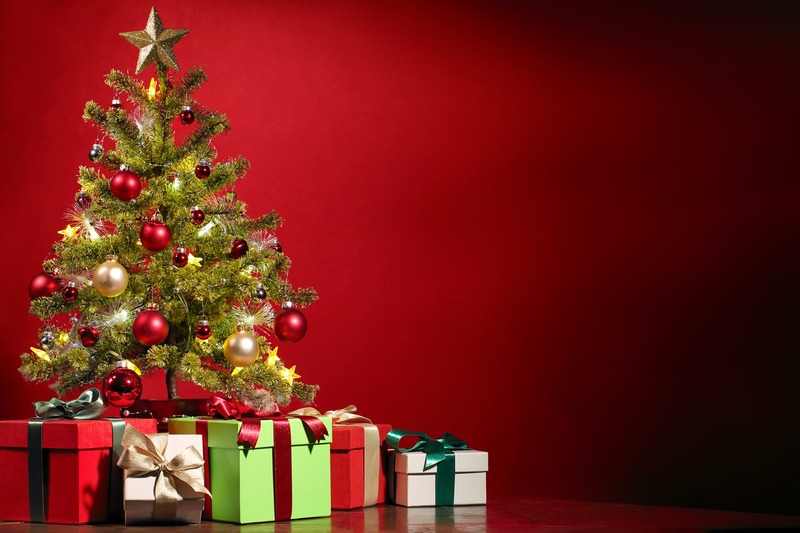 Using an artificial tree is, therefore, a better option in terms of fire safety. Touch the tree’s needles (if you’re allowed); the needles should not fall to the ground easily. Doing so would suggest an unhealthy tree. Touch the tree trunk. This should feel a little sticky. Trees that do not feel this way should generally be avoided. Make sure the tree is not situated near any naked flames. Don’t situate the tree so that it obstructs any exits. Never decorate the tree with any naked-flamed decorations. If putting lights on your tree, LEDs are highly recommended due to operating at a low temperature. A great sight during the festive period is the abundance of houses strewn inside and out with colourful lights and elaborate decorations. A sizeable amount of decorations can be a lot to keep an eye on, and large amounts of electrical items are always require caution. Consider the following tips to enjoy a house that is both decorative and safe. Only lights that carry the British standard safety sign should be used. Make sure that any hanging decorations (such as tinsel) are kept well away from naked flames or heat sources. Only use lights and electric decorations that are in good condition. Check that there is no torn wiring on the product. Preferably, choose LED lights over regular bulbs to decorate your home as these operate at a lower temperature. Turn your lights and electric decorations off when you go to bed or leave the house. This will avoid the chance of them overheating. Ensure the kitchen is supervised at all times. Try to keep on top of everything as there will likely be a lot of pots, pans and dishes all cooking at once. Don’t cook while under the influence of alcohol. Try to keep the kitchen off limits to children and pets while the cooking is taking place. While the tips in this article should help to prevent a fire this Christmas, it’s always important to be prepared in the unlikely case that one does occur. Make sure you have accessible fire extinguishers in your home. Make sure all fire alarms are installed and operating correctly. If unsure, hire a fully accredited professional to carry out comprehensive fire risk assessments throughout the home. At Cheshire Fire, we care about your safety. We offer the highest quality fire safety equipment and services to ensure you’re kept safe this holiday season — and all year round. To learn more about what we offer, get in touch today.